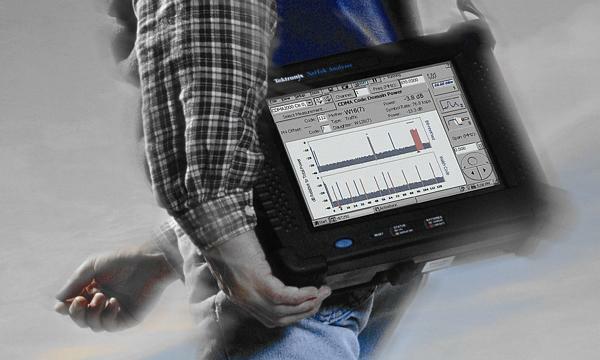 The Tektronix NetTek analyzer is a revolutionary portable field tool. When combined with various test modules, the NetTek offers proven measurement capability at a surprisingly low price, in a rugged, easy-to-use package, suitable for all field environments. 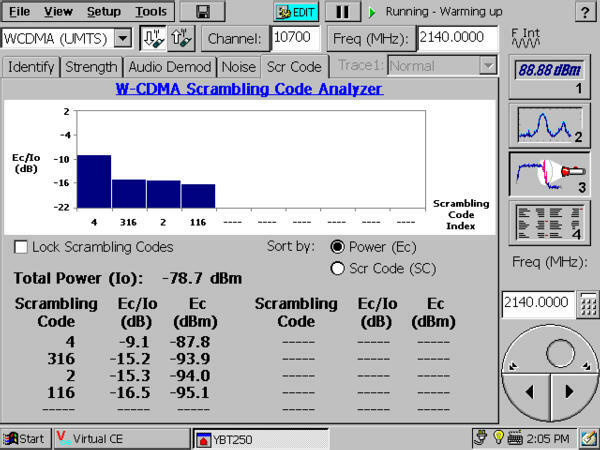 The NetTek analyzer is based around the familiar Windows CE operating system. As a result, users will spend less time learning the instrument and more time troubleshooting the network. Furthermore, built-in help guides speed the measurement process. Common measurements have been optimized for quick, repeatable results. 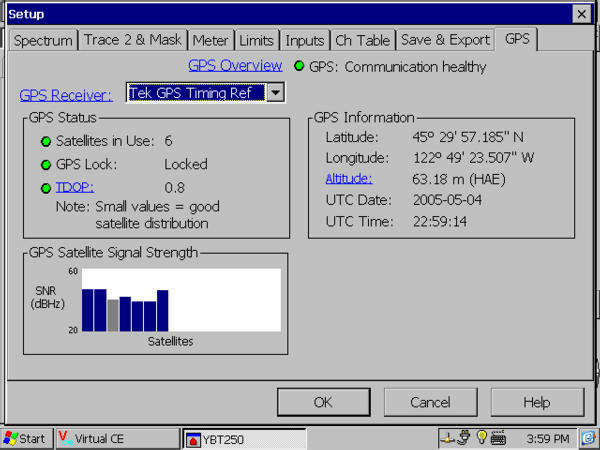 For example, novice users can display results with straightforward Windows-like zoom and resize controls. Used in conjunction with the NetTek® Analyzer, the NetGuide software solution enables creation of customized procedures that allow for consistent testing among technicians. Be assured of proper measurement configuration by defining step-by-step instructions for the user. Guarantee that all tests are executed to company standards. Share expert knowledge among your technicians to minimize network down time. The Windows CE interface is combined with a rugged touch screen. User controls and buttons only appear on the screen when they are needed, making measurements simpler to perform. The screen is operated by pressure, meaning that even a gloved finger can reliably operate the instrument in cold weather. The NetTek analyzer is designed to withstand day to day abuse wherever testing is required. The NetTek analyzer and each module feature a magnesium alloy shell, bonded with a rubber skin for maximum impact resistance and rigidity. All ports feature a sealed rubber cover. The unit may be operated and stored over a wide temperature range. The NetTek analyzer design needs no fan or ventilation ports, maximizing resistance to dirt and dust. The NetTek analyzer is designed to easily work with the PCs required for maintaining today's networks. The instrument includes as standard two PC card slots, Ethernet port, RS-232 port, and USB slots. A USB floppy disk drive or PCMCIA memory card can be added as an option. 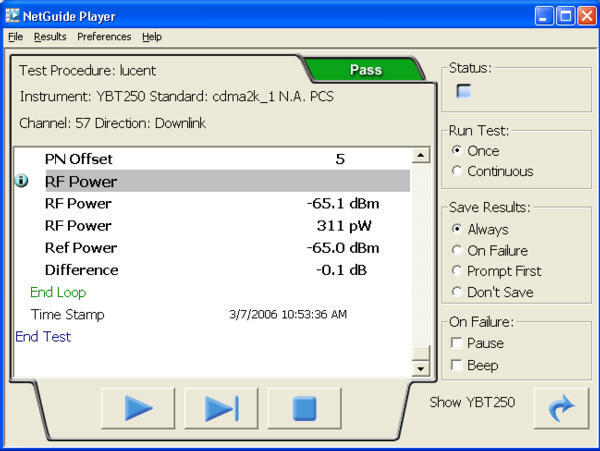 The NetTek can also be controlled remotely using the optional Virtual CE interface. The platform includes support for vxHpc terminal emulator software. Further, all of these devices are Windows CE compatible - meaning data and test results can be shared quickly with a PC operating Windows. In addition to location and time information, this optional GPS receiver provides an independent external frequency reference for checking BTS frequency accuracy. With its 5 V output and satellite signal strength graph, this option can be used as a go/no-go tester for most external GPS antennas. The Tektronix NetTek platform includes the display, power supply, CPU and battery compartments. Measurement modules can then be attached to the back. Up to four modules can be attached at once. A variety of modules and options allows you to tailor the instrument to service the standards and interfaces in use in your network. NetTek platform combined with test modules. The modular design also means that the instrument can easily be upgraded. New measurements or standards can be added with software upgrades, or with additional modules. 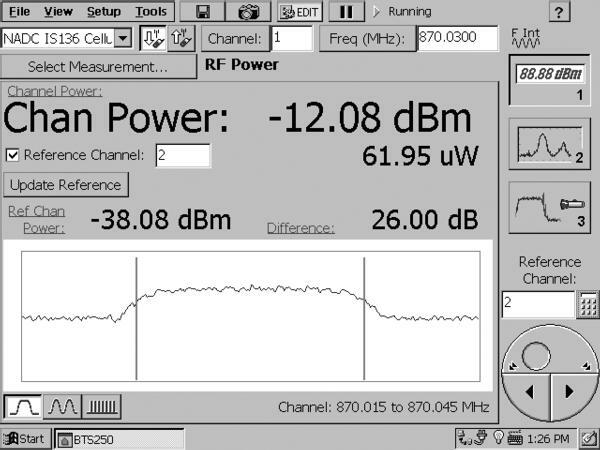 The NetTek platform today supports not only the YBT250 test module for spectrum and base station testing, but also the YBA250 module for antenna and transmission line analysis and the YBT1 for T1 testing. Module Support - Connect up to 4 test modules. Additional mini-test modules supported on PCMCIA. Display - 26 cm (10.4 in. ), 640x480 pixel, transmissive color LCD. Touch screen display optimized for finger use - does not require special scribes or other tools to operate. Power - AC power: AC: 90 to 264 VAC, 47 to 63 Hz. DC power: 24 VDC ±1.2 VDC, 72 W maximum. >2 hours per battery, >4 hours typical usage. Actual operation time dependent on type and number of applications running. Can hold two batteries (second battery optional) for total of >4 hours of continuous measurement; >8 hours typical usage. DC 12 V car adapter (optional). Recharge time (non-operating): 4.5 hours. Warranty/Calibration - 1 year warranty, regular platform calibration not required. Interface Ports - RS-232 serial: 9-pin, up to 115.2 kb/s serial. USB: 1.1 compatible Master & Slave Ports. Keyboard: PS/2 compatible, Mini-DIN connector. Microphone jack: 3.5 mm jack for external microphone. Headphone jack: 3.5 mm jack for external headphone. 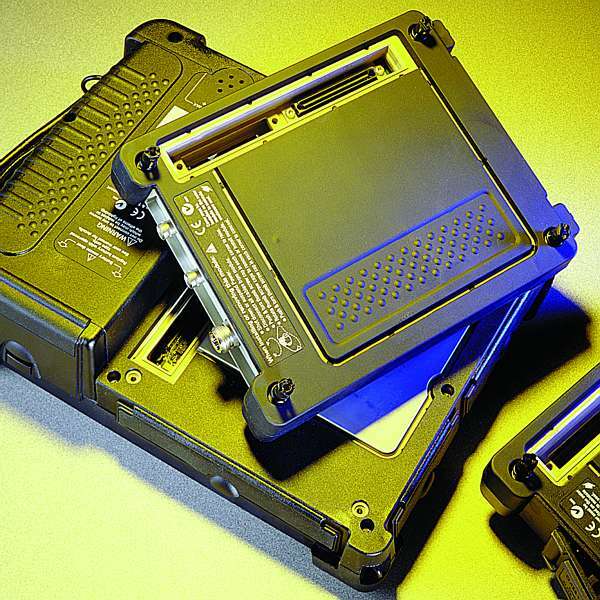 PCMCIA: 2 PCMCIA type II ports. File/Test Storage - Internal memory (standard): 32 MB available for storage and running Windows CE applications. USB Floppy disk (optional): MS-DOS compatible 3.5", 1.4 MB. PCMCIA Memory card (optional): 128 MB. Port supports standard PCMCIA memory cards. Environmental - Operating temperature: -10 °C to +50 °C. Storage temperature: -40 °C to +60 °C. Humidity, operating: 5% to 95%. *1 Not including application module.